3LCD WXGA 1280x800 16:10 [wide screen] 3600 color/ white lumens, HDMI, video, usb, computer monitor (vga), composite, usb flash drive file presentation without computer. "Plug and play" Image size 33" to 318" diagonal. 9 lbs Includes carry case, remote, USB (A TO B TYPE), VGA, HDMI, RCA red/white/yellow, and power cables. 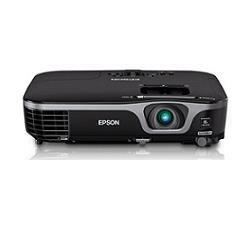 * Please call us with any questions about our projector lcd epson ex7260 rentals in Sedona, Cottonwood, Camp Verde, Prescott Valley, Chino Valley and surrounding metro areas.